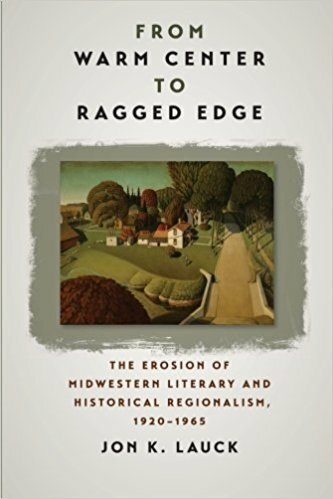 A scholarly history which examines the academic and cultural derision suffered by the Midwest, calling for a return to a healthy regionalism. This may sound dull as ditch water to those who believe that the 'flyover' states are inhabited largely by clodhoppers, fundamentalist zealots and loudmouthed Babbitts. In fact, Lauck’s aim is to examine 'how the Midwest as a region faded from our collective imagination' and 'became an object of derision.' In particular, the heartland’s traditional values of hard work, personal dignity and loyalty, the centrality it grants to family, community and church, and even the Jeffersonian ideal of a democracy based on farms and small land-holdings — all these came to be deemed insufferably provincial by the metropolitan sophisticates of the Eastern Seaboard and the lotus-eaters of the West Coast ... From Warm Center to Ragged Edge is scholarly — there are as many pages of notes as of text — and Lauck does favor long sentences, which may take getting used to. But this is an important book and these days, especially, deserves to be read and debated. As the country reawakens following the recent presidential election to this so-called forgotten territory between the coasts, Lauck's final plea for 'a bit more fire in the regionalist belly,' couldn't be better timed ... Lauck focuses the second half of his book on the fading study of Midwestern history, and though similarly well researched, it bears a more insider feel, trudging through the rise and fall of various Midwestern historical associations to reflect the field's shifting attitudes. Without the cameos of popular figures like F. Scott Fitzgerald, the text decelerates in these last chapters but never quite stalls ... offers a compelling analysis of a region that has been disparaged by coastal culture. It's a stirring argument for a second wave of both Midwestern literary and historical regionalism. Lauck’s study is both concise and meticulous, carefully considering a dizzying wealth of scholarly and literary resources (he offers extensive notes). His writing is always lucid, if dryly academic, but beneath the rhetorical patina of scholarly prose one can’t help but detect a genuine passion for the subject (the author is Midwestern) ... At its core, this work is a timely appeal for a reconsideration of unrestrained cosmopolitanism and a compelling argument for the cultural vitality of an unjustly neglected—and maligned—sector of the American republic. A philosophically astute defense of regionalism’s virtues. What did you think of From Warm Center to Ragged Edge?